An introduction to Python programming for beginners, using Python 3. It starts with basic concepts of programming, and is carefully designed to define all terms when they are first used and to develop each new concept in a logical progression. 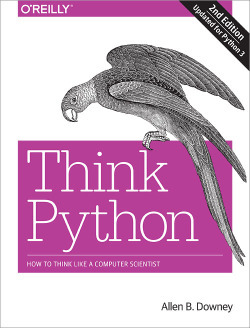 Allen B. Downey wrote:Think Python 2e is a Free Book. It is available under the Creative Commons Attribution-NonCommercial 3.0 Unported License, which means that you are free to copy, distribute, and modify it, as long as you attribute the work and don’t use it for commercial purposes. 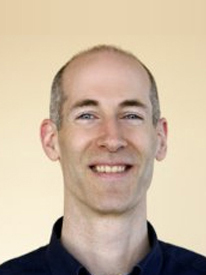 Allen B. Downey wrote:Think Python is an introduction to Python programming for beginners. It starts with basic concepts of programming, and is carefully designed to define all terms when they are first used and to develop each new concept in a logical progression. Larger pieces, like recursion and object-oriented programming are divided into a sequence of smaller steps and introduced over the course of several chapters.